Core systems and the technologies that support them continue to be a high area of focus for financial institutions. Boston, February 6, 2019 – It is time for U.S. financial institutions to replace the antiquated and inefficient core systems that continue to run behind the scenes at many institutions. The perceived risks associated with a full core system transformation have held several institutions back, but fortunately, technological enhancements, more open and componentized architectures, and phased replacement strategies are enabling more institutions to move forward with the core system replacements they have put off for far too long. 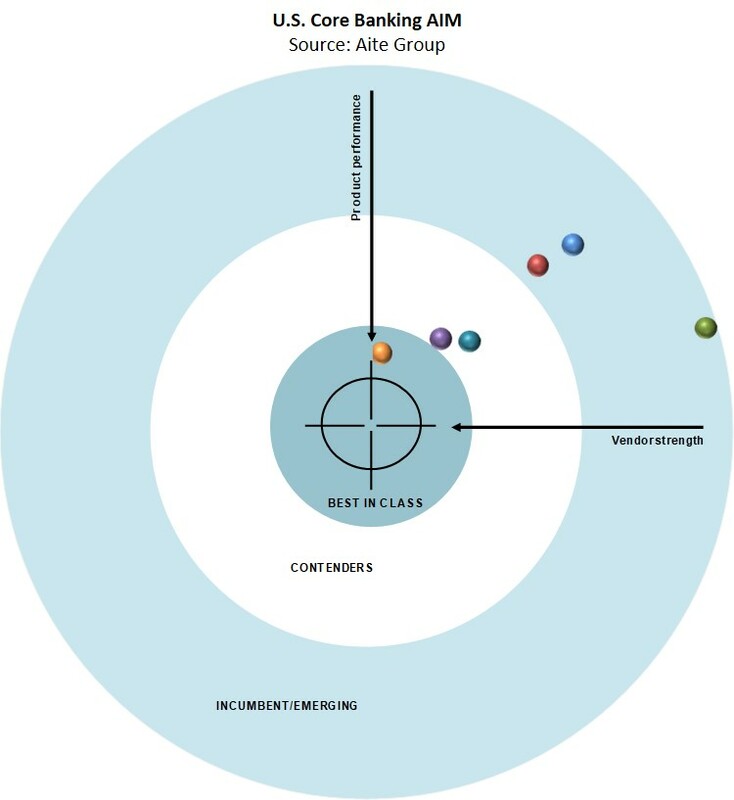 Leveraging the AIM, a proprietary Aite Group vendor assessment framework, this Impact Report evaluates the overall competitive position of six vendors, focusing on vendor stability, client strength, product features, and client services. This report profiles CSI, Finastra, FIS, Fiserv, Jack Henry, and VSoft. This 73-page Impact Report contains 22 figures and 21 tables. Clients of Aite Group’s Retail Banking & Payments or Wholesale Banking & Payments service can download this report, the corresponding charts, and the Executive Impact Deck. This report mentions Accenture, COCC, Corelation, CU-Answers, CSI, EdgeVerve, EPL, Finastra, Finxact, FIS, Fiserv, Intellect Design Arena, Jack Henry, Nymbus, Oracle, SAP, Synergent, Tata Consultancy Services, Temenos, and VSoft.